Yes. MGM Resorts is recognized as a global leader in sustainability and environmental stewardship. Newsweek Magazine recently rated MGM among the "Greenest of the Green" hotel companies and the "Greenest Resort and Casino Company." As we design our proposal for National Harbor, we intend our resort to meet the highest standards for a sustainable, world-class resort in both construction and operational phases. From our longstanding commitment to sustainable design and construction principles to our innovative conservation and waste management efforts, MGM Resorts believes that environmental sustainability and superior guest experiences are critical elements of providing world-class hospitality and entertainment. We are a company deeply committed to cultivating and supporting a diverse, socially responsible workforce and community. Diversity is a cornerstone of our corporate mission. Our dedication, commitment and experience in this area will be visible throughout our MGM vision. For the past seven years, MGM Resorts has been recognized by Diversity, Inc. as an industry-leader in diversity best practices. MGM diversity initiatives provide employment opportunity and training for minorities, as well as emphasize diversity in the Company's community and with its supply partners. Notably, in 2012, MGM's minority employees represented more than 64% its workforce. MGM Resorts was excited to announce early this year that its Supplier Diversity Program now also includes businesses owned by veterans, individuals with disabilities, and lesbian, gay and bisexual or transgender (LGBT) individuals. MGM Resorts believes that its diversity initiatives strengthen its workforce and its network of business partners by reflecting the strengths of its diverse community. MGM looks forward to drawing on the diverse strengths of Maryland's people and businesses as we build together. Analysts project that 70 percent of the visitors to a destination resort at National Harbor will come from outside of Maryland. Destination resorts in other states draw millions of visitors who enjoy their many amenities, beyond just gaming. Visitors come for entertainment, fine dining, meetings and conventions and many other attractions. The MGM National Harbor Community Office is located at 120 Waterfront Street, Suite #500 in National Harbor. The MGM National Harbor Community Office is open so neighbors, residents and the local business community can easily come and go while visiting downtown. The community is invited to stop in and learn more about the Company and the proposed development in Prince George's County. We'd be happy to answer your questions, as well as listen to your thoughts and suggestions regarding our National Harbor Project. The MGM National Harbor Community Office is open 9 a.m. – 5 p.m. ET Monday through Friday. Gaming and resort industry veteran Lorenzo Creighton rejoined MGM Resorts in October 2012 to serve as the property president. A veteran of the gaming industry and MGM Resorts, Mr. Creighton will focus on the company's efforts in developing markets in the eastern U.S. Mr. Creighton brings the perspective of his extensive experience, both as an industry regulator in two U.S. states and as a seasoned business executive. Mr. Creighton brings a broad and deep skill set to the MGM development team. The first African-American to be named as President of a major Las Vegas casino resort, he has more than 20 years of experience in Government Affairs, Gaming Regulatory Agencies and Casino Operations. Mr. Creighton's experience as a Gaming Regulator and Government Affairs professional allows him to provide unique perspective and skill-set to his new role. Previously in his career Mr. Creighton worked as an attorney for the State of Iowa and as an Iowa Magistrate State Judge, before becoming the Deputy Director for the Iowa Racing and Gaming Commission, where he crafted the state's initial gaming regulation and oversaw the opening of the first modern Riverboat Casinos. He also served as Executive Director for the Mississippi Gaming Commission, where he similarly oversaw the development of state gaming regulation and the opening of that state's modern casino industry. Mr. Creighton also has extensive experience on the operations side of the industry. Previously with MGM Resorts, he served as President and COO of New York-New York Hotel & Casino in Las Vegas, and MGM Grand Detroit. Prior to MGM Resorts International, he was the President of the Flamingo where he was responsible for the renovation of most of the property and served as the General Manager for the Lady Luck in Natchez, Miss. ; General Manager for the President Casinos in St. Louis, Mo., and Senior Vice President of Operations for Bally's Casino in New Orleans, La. Most recently, he was Chief Executive Officer of Gateway Casinos, a Vancouver company that manages 12 casinos in Canada. Personally, Lorenzo has dedicated much time to his community. He currently serves on the Board of Directors of Usher's New Look Foundation and serves as its Secretary. An active member of the community, Creighton has received awards from Luther College (2005) and Black Meetings & Tourism (2006) for Distinguished Service. He is also the recipient of a Trumpet Award in January 2006 for his contributions in business. Creighton has a B.A. degree in political science from Luther College and his J.D. degree from Drake Law School. MGM Resorts prides itself on having state-of-the-art security and surveillance systems at its resorts, along with highly trained teams of security professionals. Additionally, we foster a close working relationship with local authorities in every market where we operate. Our professionals will work closely with the police, fire, EMS and highway department officials to create and maintain a safe and welcoming environment for our guests, employees and community. We would look forward to cultivating similar mutually beneficial relationships with public safety and first responders if we are selected to operate in Maryland. As part of MGM Resorts' commitment to its employees and the community, we provide an enviable package of comprehensive pay and benefits to our employees. MGM Resorts prides itself on attracting and retaining the highest quality employees through strong compensation and employee benefits packages that focus on health, wellness and prevention. MGM strives to cultivate a healthy workforce through various on-site programs such as Health Coaches, healthy dining options, convenient screenings and paid time-off to encourage annual wellness exams. Notably, we honor our active military Reserve and National Guard employees by offering full pay for employees while deployed on an active duty combat tour for a declared military action. We are also committed to providing opportunities for training and apprenticeships that promote education and career advancement. MGM Resorts recognizes and rewards employees who demonstrate excellence in various areas such as guest service and safety initiatives. We believe that our superior benefits and compensation packages will quickly make MGM Resorts one of the most sought-after employers in the area. A well-trained workforce is one of the best assets available to any company. We are no different. MGM Resorts has already begun outreach and discussions with Maryland educational institutions to ensure they are offering the resources necessary for job candidates to compete in this new marketplace. MGM Resorts is proud of its solid history of partnering with local universities and colleges to offer courses necessary for those interested in pursuing a career in hospitality management, culinary arts and management, and the gaming industry. In Nevada, we enjoy a close and successful relationship with the University of Nevada – Las Vegas and the Community College of Southern Nevada. In Michigan, we partner with Wayne County Community College and Schoolcraft College. MGM Resorts is very proud of the types and quality of jobs the company creates in the communities where it operates. 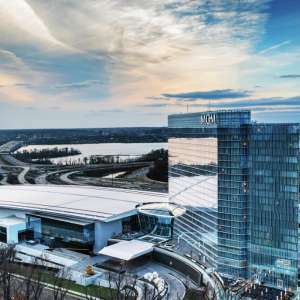 At National Harbor, jobs would cover a wide spectrum of career and occupational opportunities from entry-level to management, in fields ranging from administration and finance to legal, hotel operations and engineering. MGM Resorts' mixed-use development approach typically requires positions in more than 100 different job classifications to operate a destination resort. 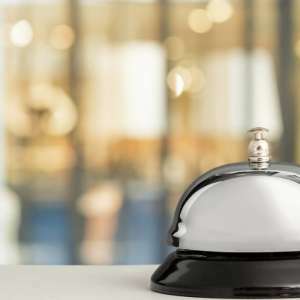 Some positions require advanced degrees, while others call for no more than an engaging, friendly personality and an eagerness to make the MGM experience positive and enjoyable for all our guests. As it has done in other markets in the past, MGM Resorts will place significant emphasis on local and regional recruitment, and we will seek to fill many positions with residents of Prince George's County and Maryland. MGM Resorts has a longstanding record of working with organized labor and enjoys good relationships with the organizations our employees have chosen to represent them. We provide our employees good jobs at good wages. We have every expectation of continuing that record in Maryland. What is the long-term financial outlook for MGM Resorts?